Suitable for professional use and home use· Enable you to create beautiful nail designs in seconds. Buildup your UV gel or acrylic nail false tips. Great for nail art creation. Convenient to take, could DIY for your nail with different designs by this item, help to create your personal character! 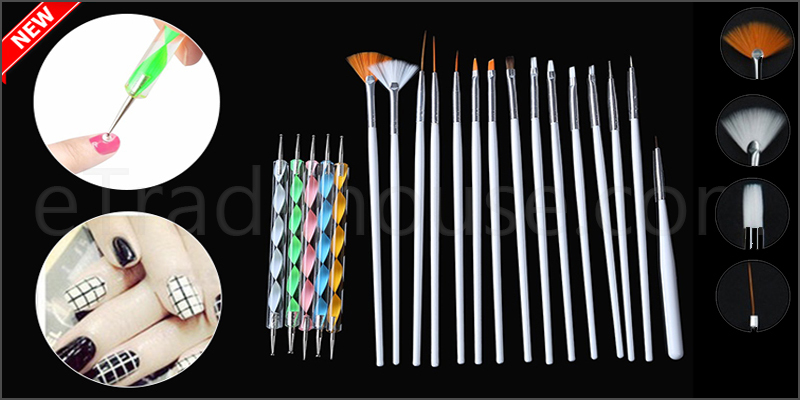 Wood dotting pen length: App 13cm/5.11"
1x 20pc Nail Art Tool Kit Set with Carry Case.